When the original owners of Danehill’s son out of the American-bred Patrona came to select a name for their youngster, they aimed high in naming him Exceed And Excel. Their choice has proved quite prophetic and Exceed And Excel has justified his name in several different roles, firstly as a champion sprinter and then as one of the most successful shuttle sires. And now, 18 years after his birth on September 5, 2000, he is beginning to make a name for himself both as a sire of sires and as a broodmare sire. Before I go any further, I need to remind you that Exceed And Excel’s stallion career is a tale of two halves, in more ways than one. When he started to shuttle, he stood the 2005 season at €10,000 at Kildangan and the 2006 season at £7,500 at Dalham Hall. His fee was at a much lower level than in his native Australia, where he had enjoyed Group 1 success over six and seven furlongs. He spent his first four years in Australia at AUS$55,000, before his fee doubled to $110,000 in 2008 and 2009. Even after those first two $110,000 seasons, Exceed And Excel was priced no higher than £12,000 when he shuttled to Dalham Hall in 2010 and 2011. Fortunately, his merit has since become fully appreciated, with his fee rising steadily to €50,000 in both 2017 and 2018. In these circumstances it would be fair to expect Exceed And Excel to start making his name as a sire of sires in Australia, rather than Europe. However, the opposite seems to be true, with his Australian-based sons having sired nothing better than Group 3 winners in the southern hemisphere by early September. 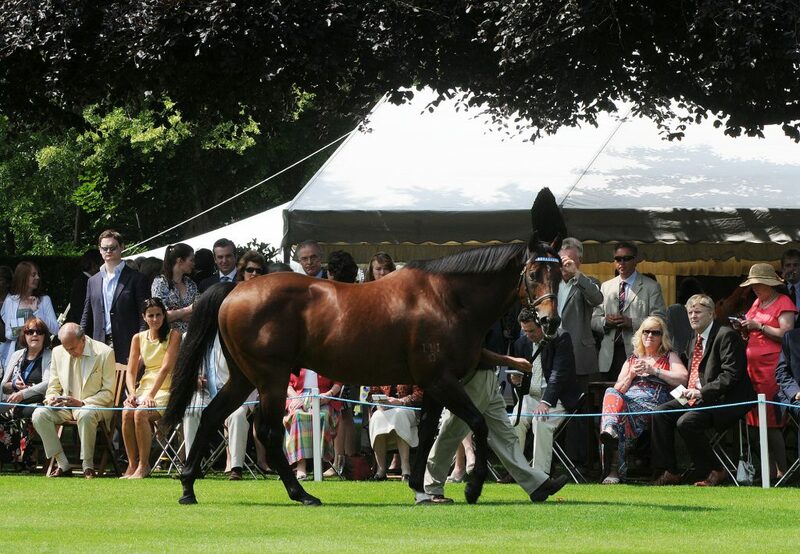 Although his Irish-bred son Excelebration – the result of a €10,000 nomination – hasn’t been a runaway success, his first crop contained Barney Roy, the Group 1 St James’s Palace Stakes winner who was runner-up in the 2,000 Guineas and the Eclipse Stakes, and his second is headed by the smart Irish sprinter Speak In Colours. We have also seen the Australian-bred Helmet make a much bigger impact with his European crops than he has in his homeland. His son Thunder Snow has enjoyed Group 1 success at two, three and four, notably taking this year’s Dubai World Cup to boost his earnings to more than £6 million. Arguably the most encouraging signs have come from a couple of inexpensive sons who were fast and precocious. Bungle Inthejungle was rated no higher than 109 by Timeform after his victories in the Molecomb Stakes and the Cornwallis Stakes and he failed to win at the ages of three and four. However, that hasn’t stopped him siring 20 winners from 47 first-crop runners by early September, including the Group 3 Molecomb Stakes winner Rumble Inthejungle and the Italian Listed winner Sopran Artemide. We have also seen the shuttler Kuroshio, who covered a small book at £3,500 at Overbury Stud in 2015, represented by the Group 2 Vintage Stakes runner-up Dunkerron. This suggests we will be hearing a good deal from other precocious stallion sons of Exceed And Excel, such as his Group 2 Coventry Stakes winner Buratino, his Grade 1 Breeders’ Cup Juvenile Turf winner Outstrip and his Group 3 Molecomb Stakes winner Cotai Glory, who enjoys the benefit of being based at Tally-Ho Stud. Even so, it is possible that Exceed And Excel’s most valuable contribution may be as a broodmare sire, judging by the fact that two of this year’s leading two-year-olds are out of his daughters. Both of them are trained by Aidan O’Brien, who sent out the Galileo colt Anthony Van Dyck to win the Group 3 Tyros Stakes over seven furlongs in June and the Group 2 Futurity Stakes over the same distance in August. The day before the Futurity Stakes, O’Brien had unleashed No Nay Never’s son Ten Sovereigns in a six-furlong maiden race and the colt won so impressively that he started long odds on to win the Group 3 Round Tower Stakes, which he landed by nearly four lengths. There is one difference between these two colts, though. Whereas Ten Sovereigns’ dam Seeking Solace was bred in Britain and raced in France, Anthony Van Dyck is out of the Australian-bred and raced Believe’N’Succeed, a Group 3 winner who was bought by Tom Magnier for a sale-topping AUS$1,100,000 at the 2014 Patinack Farm Dispersal conducted by Magic Millions. She was carrying a filly by Street Cry at the time. Coincidentally, Believe’N’Succeed is a sister to the previously-mentioned Kuroshio, who had gained all three of his wins at around five furlongs as a two-year-old. Kuroshio numbered the colts’ and geldings’ division of the Group 3 Blue Prelude Stakes among his successes and Believe’N’Succeed had won the five-and-a-half-furlong fillies’ division five years earlier. Believe’N’Succeed had already made a bright start to her broodmare career by the time of her sale, her first foal being the good racemare Bounding. This daughter of Australian Horse of the Year Lonhro had won four Group races at up to seven furlongs in New Zealand and Australia, notably the Group 1 Railway Stakes over six furlongs as a three-year-old in New Zealand. With Kuroshio, Believe’N’Succeed and Bounding all excelling over sprint distances, Believe’N’Succeed was an obvious addition to Coolmore’s policy of sending fast mares to the great Galileo. Having foaled her Street Cry filly in Australia on October 24, 2014, she was sent to Ireland on February 18, 2015. She didn’t conceive until late in the breeding season, with Anthony Van Dyck being born on May 19, 2016. He was therefore just under 26 months old when he gained his first win, by eight lengths at Killarney in July, and his first Group win came only 11 days later. This provides strong grounds for thinking that this late foal will continue to improve over the next year or two. It is natural to think of Believe’N’Succeed as Australian but her pedigree consists almost entirely of northern hemisphere bloodlines. Her grandparents – Danehill, Patrona, Gone West and the dual Grade 1 winner November Snow – are all American-bred, as are all eight of her great-grandparents, including Danzig, Lomond, Mr Prospector and Storm Cat. Needless to say, Galileo has established highly fruitful partnerships with mares by Danehill and Storm Cat, which adds to Believe’N’Succeed’s suitability. Galileo has only three foals of racing age out of Exceed And Excel mares. All three are winners and they include the Group 2 French winner Mission Impassible. 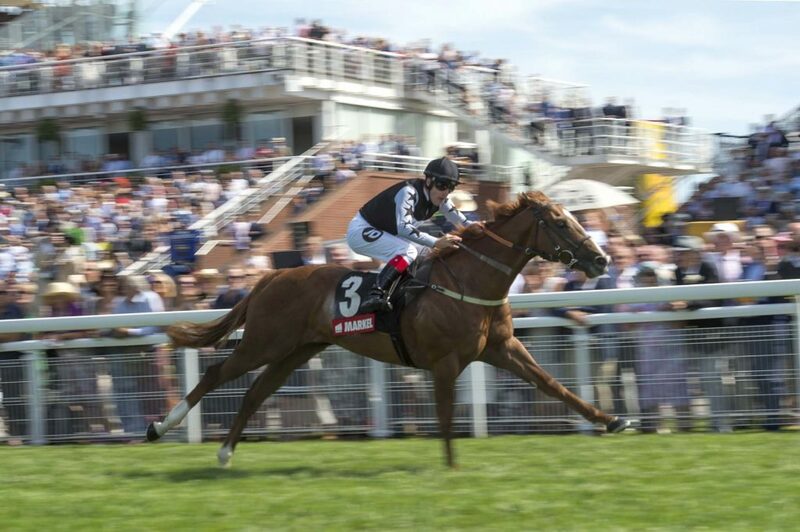 Although Mission Impassible is out of Exceed And Excel’s Nunthorpe winner Margot Did, she stays a mile well enough to have won the Prix de Sandringham. This suggests that Anthony Van Dyck is more of a 2,000 Guineas candidate than a Derby possible, but there can be no certainty about this in view of Galileo’s feat of siring the Irish Derby winner Cape Blanco from a useful five-furlong specialist. Exceed And Excel ranks alongside Clodovil, Danehill Dancer, Dansili, Desert King, George Washington, Holy Roman Emperor, Mozart and Rock Of Gibraltar as one of nine Danehill stallions whose daughters have produced a total of 25 northern hemisphere Group winners to Galileo. That’s in addition to the 30 Group winners he has sired from daughters of Danehill. This reminds me that Believe’N’Succeed isn’t the first Australian-raced mare to do well with Galileo. The Group 2-placed Hveger produced the indomitable Highland Reel and his Group 2-winning brother Idaho, while the Group 3 winner Milanova is dam of the Group 3 winner Pretty Perfect. Moving on to Ten Sovereigns, his dam Seeking Solace wasn’t a typical daughter of Exceed And Excel, as she was a useful performer at around ten furlongs for Darley in France. With the Norfolk Stakes and Prix Morny winner No Nay Never as his sire, it would be unrealistic to expect this exciting colt to stay further than a mile. 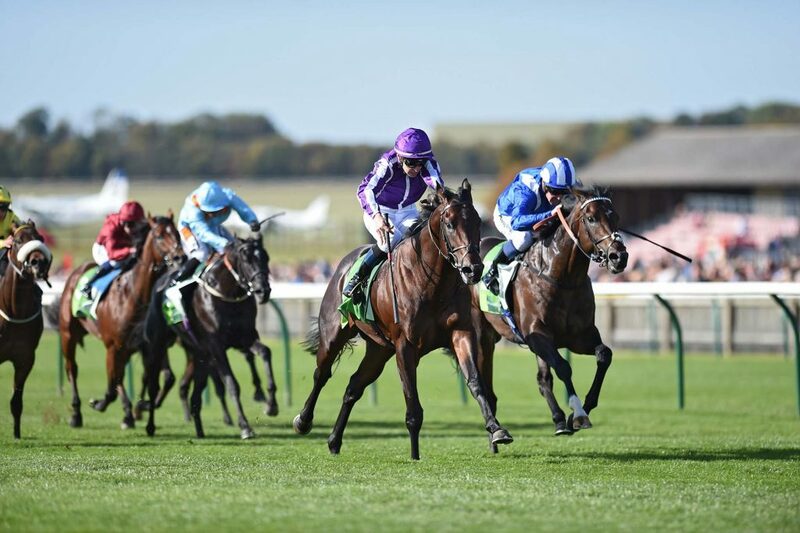 Indeed it is possible that the combination of No Nay Never and Exceed And Excel could make even a mile a bit of a test for Ten Sovereigns, but his style of racing suggests he will get the Guineas distance. It is enlightening to look at Exceed And Excel’s record as a broodmare sire. 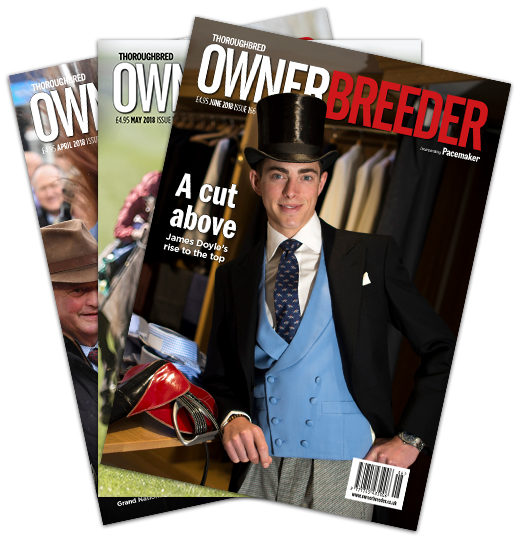 Although he is only 18 – comparatively young to be making a big impact as a broodmare sire – the fact that he has been operating in both hemispheres means that he already has more than 400 daughters with racing age offspring. They have 28 black-type winners and, thanks to her daughter Bounding, Believe’N’Succeed is one of four daughters to have tasted Group 1 success in Australasia. The other Group 1 winners are Alizee, a daughter of Sepoy who has won two Group 1s over a mile; Astern, a Medaglia d’Oro colt who won the Group 1 Golden Rose Stakes over seven furlongs as a three-year-old; and Prompt Response, a filly with 3×3 inbreeding to Danehill who won the Group 1 Tattersalls Tiara over a distance short of seven furlongs. Astern is now part of Darley’s Australian stallion team and attracted 170 mares in his first season in 2017. Collectively this suggests that Exceed And Excel mares will impart much more speed than stamina. 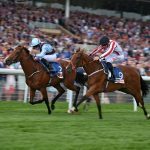 His European progeny are renowned for their speed, with an average winning distance of 6.7 furlongs, but he very occasionally gets good winners beyond a mile. A good example is the Winter Derby winner Nideeb and there is also the American-raced Legendary, the international performer Folkswood and the continental Group 3 winner Tech Exceed. Of course he enjoyed his first European Group 1 winner out of an Exceed And Excel mare thanks to Ten Sovereigns in the Middle Park Stakes and they have hit the Group 2 target with the Superlative Stakes winner Birchwood in addition to Anthony Van Dyck and Mission Impassible. The Group 1 level is certainly attainable as Margot Did has a 2017 filly by Galileo; the very speedy Best Terms (dam of the talented Sea The Stars two-year-old Star Terms) has a 2017 Galileo colt and a 2018 Dark Angel colt; the Lowther Stakes winner Infamous Angel has two youngsters by Muhaarar; and the Group 3 Fred Darling Stakes winner Marenko produced a 2018 colt by Dark Angel before visiting Ulysses. Then there’s the likes of the Group 2 Temple Stakes winner Priceless and the Group 2 Lowther Stakes winner Threading still to come.